In a series of transactions announced Thursday, Delta Air Lines (DAL) and Shanghai-based China Eastern (CEA)are each buying 10% of Air France/KLM (AFLYY)Group. And Air France/KLM will buy 31% of Richard Branson's Virgin Atlantic Airways. The roughly $1.2 billion worth of investments will deepen business ties between the carriers, giving them the ability to coordinate across the busy air corridor between Europe and the United States. Related: Virgin Atlantic faces a test: Is it enough just to be cool? It's not a merger and each airline will maintain its own distinct brand. But the agreements would allow tight coordination under the protection of anti-trust immunity as they fend off competition from other huge established airlines and fast-growing Middle Eastern and long-haul, low-cost airlines. All the airlines, with the exception of Virgin, are partners under the SkyTeam alliance, but the joint ventures go significantly farther. "The view is to work together like a kind of total company on the North Atlantic deciding together what is the network, what is the pricing, what is the yield management," said Jean-Marc Janaillac, Chief Executive of Air France-KLM said in an interview with CNN. The agreements will be signed by the end of 2017 and Virgin expects the regulatory, board shareholder approvals by the beginning of 2019. Deep coordination with China Eastern is restricted without a formal diplomatic Open Skies agreement between China, Europe and the U.S. The move by Delta continues its pursuit of pieces of the world's airlines. Delta bought 49% of Virgin in 2013 and it now owns 49% of AeroMexico, 9.5% of Brazil's Gol. In 2015 it bought 3.5% of China Eastern. It also announced a joint venture with Korean Air Lines to coordinate across the Pacific. Four airlines, three continents, two new major alliances. Airlines have been moving away from traditional alliances that gave fliers the ability to book a single ticket across multiple airlines, earn frequent flier miles and gain access to shared lounges around the globe. Those arrangements keep the airlines legally prohibited from coordinating schedules and pricing. "When you have the equity stakes coupled with the [joint ventures], you go from being friends to being relatives. You're not quite a sibling, but you're a first cousin," said Henry Harteveldt, founder of the Atmosphere Research Group. If the new agreements are approved, Virgin could gain access to takeoff and landing slots at London's Heathrow and Gatwick Airport that are used by Air France and KLM. Air France and KLM could flow their passengers more easily on to Virgin and passengers would be able access the others' lounges and earn and redeem miles on the airlines' various flights. 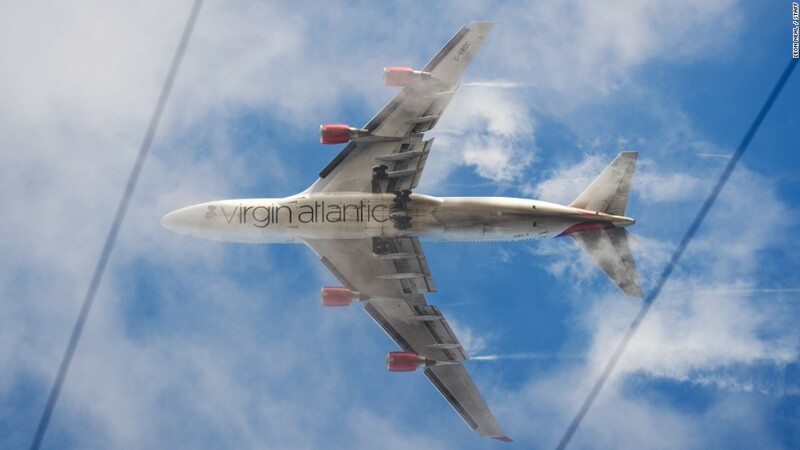 "We're trying to remove the seams between our organizations," said Virgin Atlantic chief commercial officer Shai Weiss. But equity alliances don't always work out. Etihad Airways, the fast-growing Abu Dhabi-based airline, unveiled a $1.87 billion loss last over the past year, as its investments in struggling airlines like Alitalia and Air Berlin. The joint venture with Delta and Air France/KLM also includes Alitalia, which is currently taking bids in bankruptcy. With the partial sale, Branson's Virgin Group now shrinks its stake to 20%. The acquisition maintains a majority of Virgin held by European hands, but puts 80% of the ownership of the airline outside of the U.K. Ongoing negotiations regarding the U.K.'s exit from the European Union may throw a wrench in the plans. Brexit could potentially disrupt traffic rights around the continent that currently allow European airlines a single unrestricted sky. "They're investing at a very fine airline at a very uncertain time," said Harteveldt. But Air France is proceeding with today's rules in mind, not what might be decided. "We know there is a risk, we don't know what's going to be decided," said Janaillac.